Natural & Artificial Flavors, Sucralose, Acesulfame Potassium (Ace-K), Salt, Maltodextrin, Silicone Dioxide. As a dietary supplement, mix one serving (one level scoop) of ISO-AMINO with 10-12oz. of coffee (cold or hot is fine). Stir or shake and consume. ISO-AMINO can be taken throughout the day on both training & non-training days. 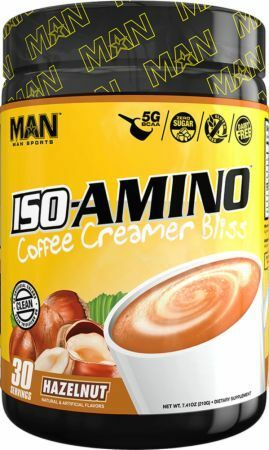 Sep 17, 2016 MAN Sports ISO-Amino Coffee Creamer: A Healthy Creamer Alternative!